Back again! 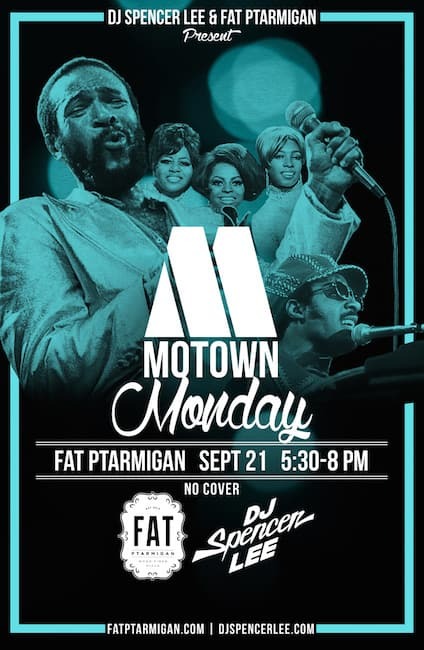 Motown Mondays at Fat Ptarmigan, the monthly party. Hope to see you: Motown Monday with DJ Spencer Lee Fat Ptarmigan (441 W Fifth Ave) Oct. 19, 5:30 – 8 p.m No cover.